Why are shadows always black? In this article you will come to know about the reason that why are shadows always black. Q. Why are shadows always black? Ans. Shadows are formed when the path of light gets obstructed by an object, i.e., when light can’t make its way past the obstruction. Which means, there is no light to be reflected by the surface on the other side of the object, hence our eyes don’t receive any light reflected from that surface. 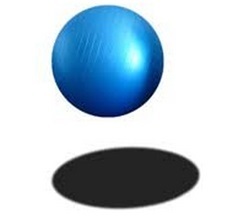 Therefore, the shadow appears black due to the absence of light needed for reflection. Previous Article Why is it colder at the top of a mountain than it is at the sea level? Next Article Why is tea grown over hill slopes?